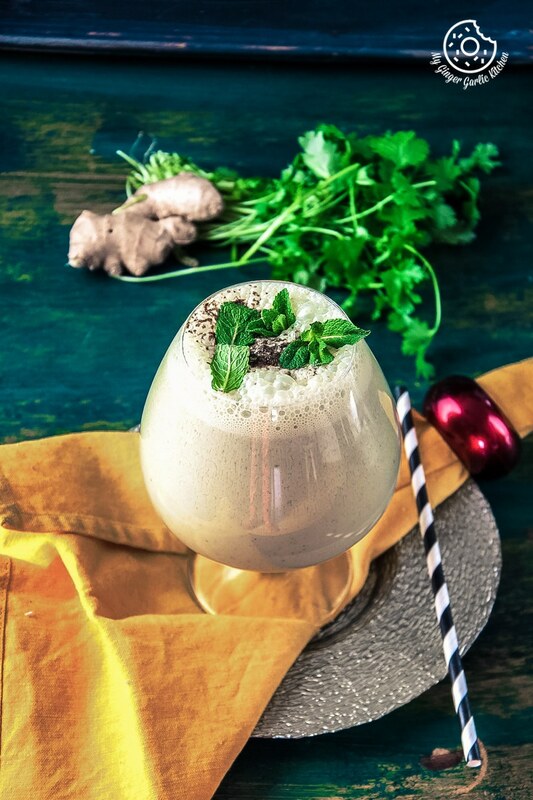 This revitalizing summer drink ‘Masala Chaas’ aka ‘Spiced Buttermilk‘ is made with chilled yogurt and fresh herbs such as cilantro or mint. You can also make this chaas in any desired fruity and veggies flavors. I chose the strawberry flavor and made this Strawberry Masala Chaas. So buddies, how was your weekend? Mine was okay. Not really much fun. I told you about the Midsummer Festival in my last post, and also about that we decided not to go out owing to our sickness. But, a BIG THANK YOU to everyone for your good wishes. I am feeling much better now. I couldn’t go out, but I made one very quick, simple, and refreshing Indian summer drink ‘Masala Chaas’ to celebrate the spirit of Midsummer. I made a pitcher of this buttermilk drink on Saturday morning and I kept that in my refrigerator to enjoy this throughout that day. 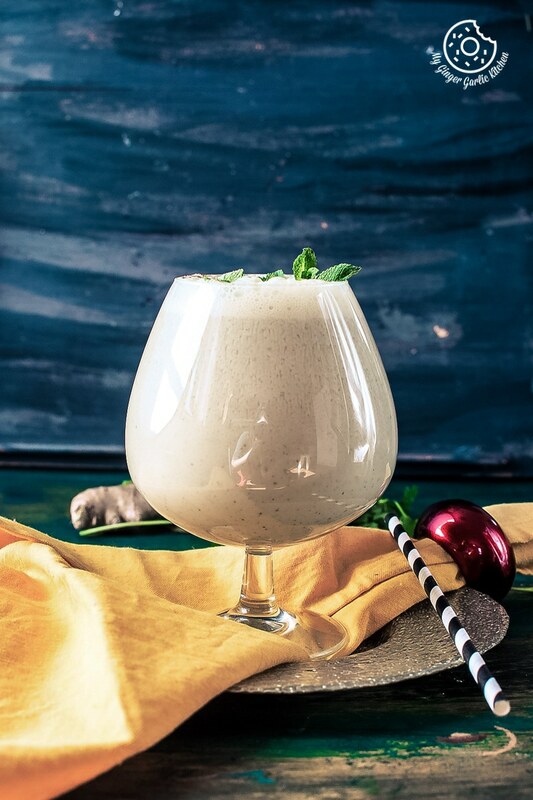 Masala chaas is the spiced North Indian buttermilk. 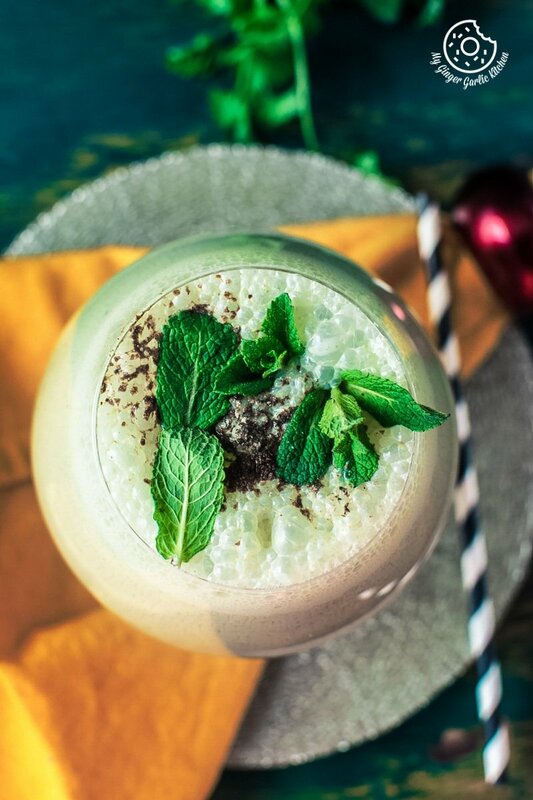 This is a light refreshing salty drink packed with a good punch of coriander and mint. Everybody loves this healthy, refreshingly delicious, and flavourful summer cooler. Anyways, who doesn’t like summer coolers? Also in a traditional sense, Chaas is the best way to beat the heat and to rehydrate ourselves. In India, drinking this chaas after summer lunch is a tradition in many families. It was in my family too. And I still do it during summers wherever I am. However, summer is the time when I prefer to drink more fluids, than eating full meals. I can simply live on drinks on such days. 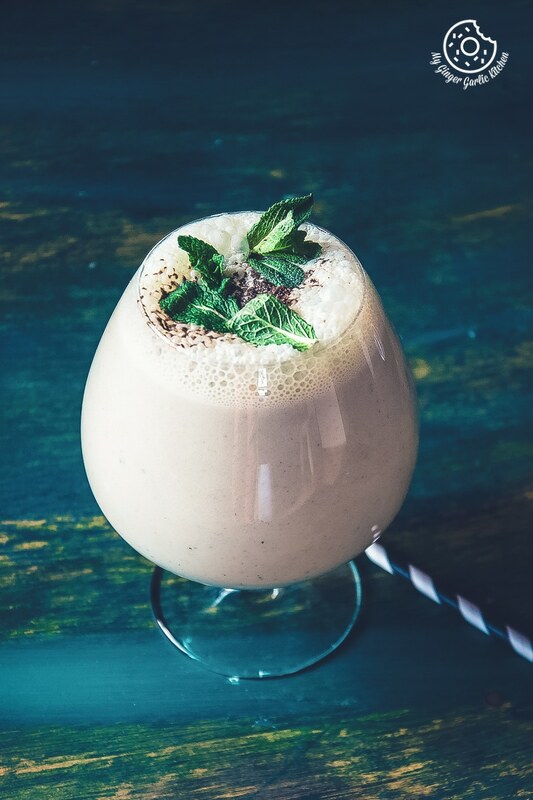 Fresh juices, milkshakes, smoothies, mocktails, buttermilk, and coconut water — are the elements of my survival kit. My main criteria is to consume lots and lots of fluids to keep myself hydrated. Going with the thermal dichotomy, Finland is a cold country so hot days are very few here. So whenever summer weather strikes, I try to make sure that I don’t leave a chance to drink throughout the day. Coming back to Chaas, you can make it with just natural creamy or fat-free yogurt, water, and few spices, herbs, ginger and green chilies. It can’t really get any simpler. Since I am still suffering from a mild cold, so I did not add any ice this time, but you can surely add ice cubes to this spiced chaas to get a much more cooler feel. 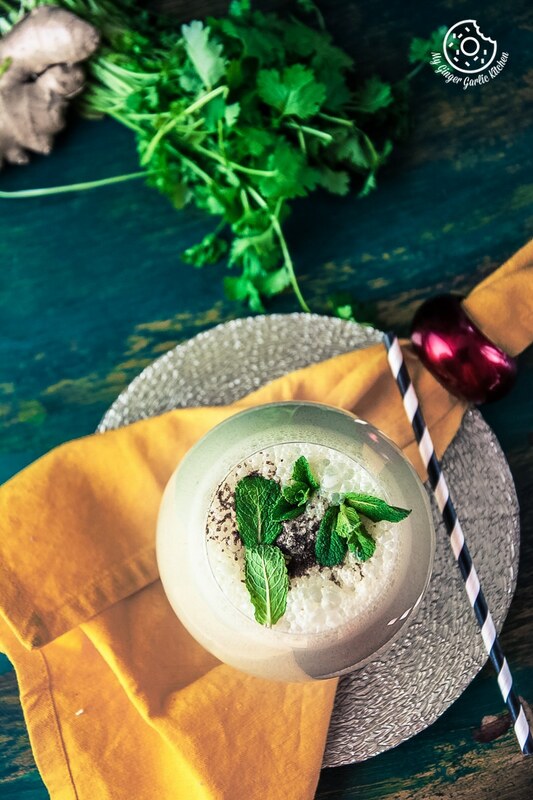 This revitalizing summer drink ‘Masala Chaas’ aka ‘Spiced Buttermilk‘ is made with chilled yogurt and fresh herbs such as cilantro or mint. 1. 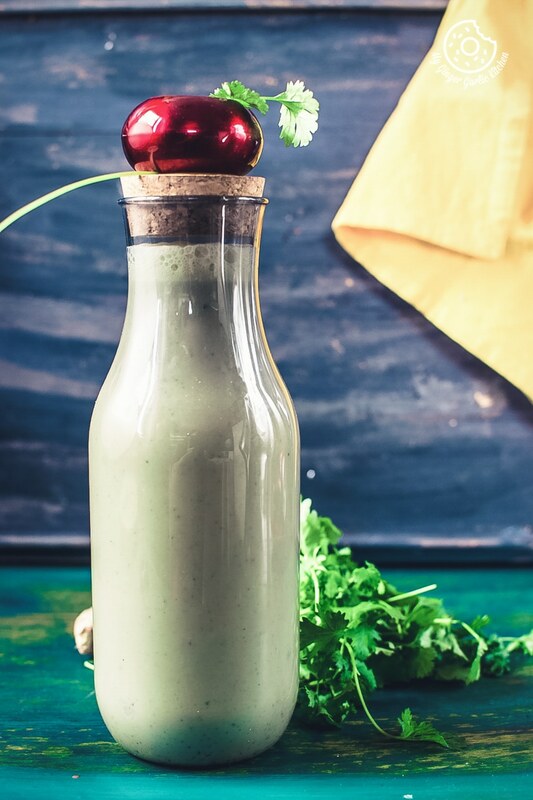 Puree together mint leaves, green chilies, ginger, coriander leaves and 1/4 cup chilled water. 2. Now in a jar, blend together the pureed herbs, salt, black salt, cumin powder, ground black pepper, chilled water until frothy. 3. Add ice cubes to the serving glasses, and pour chass into the glasses. 4. Garnish with black pepper, cumin powder, and mint leaves and serve chilled.